Monday’s bring a new week filled with opportunity on the horizon. This week Sierra West Airlines was honored with a visit from the Monroe Composite Squadron, Civil Air Patrol cadets. The Civil Air Patrol is a United States Air Force Auxiliary dating back to World War II era. 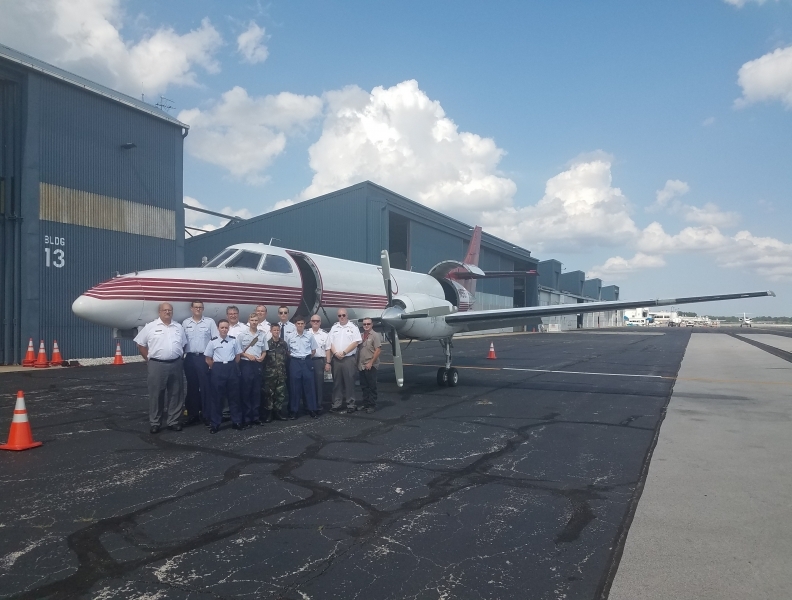 Sierra West Airlines was delighted by the opportunity to welcome this group of cadets into our facility at the Toledo Express Airport. Above they are pictured in front of one of SWA’s Metroliners that is flown across North America. We greatly enjoyed their visit and wish them continued success throughout their bright futures ahead!